This report contains the full transcript of an interview conducted during October 2011 in Nyaunglebin District by a community member trained by KHRG to monitor human rights conditions. The community member interviewed Naw P---, a 42-year-old flat field farmer, who described her experiences being forcibly relocated by Tatmadaw troops, most recently in 2004 from D--- to T--- relocation village. Villagers continue to face movement restrictions, specifically a curfew which prevents villagers from leaving T--- after 6:00 pm, as well as demands from people's militia and Tatmadaw troops for food on a bi-monthly basis following troop rotations, and monthly demands for a big tin (16 kg. / 35.2 lb.) of rice. Payments are also reported in lieu of sentry duties for the Tatmadaw. An incident involving the disappearance and suspected killing of a previous village head in the past was also mentioned. Relocation is reported to have severely undermined villagers’ food security; food scarcity in the relocation village has been exacerbated by the area being more highly populated, with less agricultural land available for villagers to cultivate or on which to graze cattle, and as a consequence they are forced to purchase the bulk of their food in order to survive. The following interview was conducted by a community member in Nyaunglebin District and is presented below translated exactly as it was received, save for minor edits for clarity and security. This interview was received along with other information from Nyaunglebin District, including six other interviews, one situation update and 77 photographs. My mother’s name is Naw E---. What village tract is your village in? T--- [village] is in T--- village tract. The township is… [the interviewee stops talking]. What responsibilities do you have in the village? I have no responsibilities. I work with a religious group [from the Anglican Church] a little bit. There is a mother organization [of the Anglican Church]. When a meeting is held, people in Toungoo related [to the Anglican organization] are asked to attend the meeting, so we went there. Since we have come back here, we have been mothers who worship and encourage others as much as we can. What kind of livelihoods do villagers have in your village? As far as I know, they farm flat fields. Some people farm flat fields and some ma suh duh aw suh day [literally ‘work arm and eat hand’ meaning, to live a hand to mouth existence] by doing daily wage labour. Does everybody get enough food to eat from the work that they do? What do you do when you don’t get enough [food to eat]? We don’t know what to do. We just ma ler ghaw aw ler ghaw ma ler hah aw ler ghaw [literally, ‘work in the morning and eat in the morning; work in the evening and eat in the morning’, again, meaning to live a hand to mouth existence]. How long ago was your village relocated here? 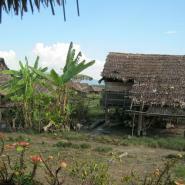 Following the third time that we were relocated [by the Tatmadaw], we came to live here [T--- village] in 2004. How many times did you have to move your village? Can you remember the dates? As I remember, the first time was in 1974, the second was in 1979, and the third was in 2004.
Who ordered you to relocate? Maybe the people who forced us to relocate were from the government. Why did they order you to relocate? Just tell me what you know. Did they give the order to relocate to you or to the village head? They ordered the village head. The last time we relocated [in 2004] they ordered people to relocate like they were dogs and pigs. They [Tatmadaw soldiers] beat everyone. People didn’t come back. What did they [Tatmadaw soldiers] say? They said that we had contacted our people [Karen National Liberation Army (KNLA) soldiers] and that we had been back [to D--- village]. Did you take all your property with you when they ordered you to relocate? We couldn’t take everything. Wood and bamboo poles were left behind. Did they allow you to go back and get them [the wood and bamboo poles]? They allowed us to take them but termites had eaten everything because the things [the wood and bamboo poles] had been left in the village for many days; half of the things were good and half were rotten. What do people call the place, in which you currently live [in T--- village]? It is a place beside a flat field [farm] called A---. It is A---. How different is it living here [T--- village] from the period [before 2004], when you lived in your old village [D---]? The difference is that living here, it is difficult to find food because there are many neighbouring villages. It is very difficult for people to travel and to keep cows. Do they [the Tatmadaw] allow you to go outside [T--- village]? They allow [us to go outside] depending on the time. If they tell you that you must come back by 6:00 pm, you must come back. Have Burmese [Tatmadaw] soldiers visited your village [recently]? They haven’t come here, but they sometimes rotate the pyi thu sit every 15 days. They [the pyi thu sit and Tatmadaw soldiers] sometimes enter the village. When they go [when troops are in the process of rotating], they don’t enter the village, but they enter the village when they come back. Do they rotate them once per month? This isn’t once per month. It is more like twice per month. They rotate their people [soldiers] once every 15 days. Where are they [the pyi thu sit and Tatmadaw soldiers’ bases]? They are at Aw Law Kyee and Kyoh Koh Say. Is it possible that they will go away? Which Burmese Army camp is closest to your current village? The closest is L--- camp. How many hours does it take to travel between your village and L--- Camp? I think it might take one hour if you walk unhurried. We haven’t checked the time. How about if you walk quickly? It takes less than one hour if you walk quickly. Do they demand things to eat from the village? They demand things, but less than before. They don’t make stupid demands. As I told you, they [the people’s militia and Tatmadaw soldiers] come to the village and eat things every 15 days. We have to give rice to them once a month. One household has to give them one big tin of rice (16 kg. / 35.2 lb. ), which is equal to 2,000 kyat (US $2.44). Do you have to pay them every month? Do you still currently face forced labour and demands for food by Burmese soldiers [Tatmadaw]? The Burmese soldiers don’t do that as much as before. Don’t they order you [to do forced labour]? I can’t say that they don’t order us. They order us [for forced labour] when they have something that they want us to do. Don’t villagers need to do sentry duty anymore? The people who moved to live here [T--- village] don’t need to do sentry duty. We have to give 2,000 kyat (US $2.44) and rice to them [the Tatmadaw] every month. Regarding the payments of 2,000 kyat [in lieu of sentry duties], they told us that we don’t need to do sentry duties because we have relocated here. The T--- villagers don’t need to do sentry duty? The T--- villagers don’t need to do that. Is it only your village [that has to pay money in lieu of sentry duties]? Yes, only ours. We have to pay money to them [the Tatmadaw]. Have they come to the village in the past? They came here in the past. They came here to eat and they went back after eating. They ate rice. When they came, people had to cook rice for them. When they came to the village [that time], did they demand people’s chickens? They didn’t demand them [on that occasion]. How about in the past? In the past, they demanded them. Did they steal people’s chickens? Currently, they don’t steal them. Now, they come here a little bit less. [In the past], if they needed to eat something, they demanded it from the village head. They demanded things to eat? Did they pay money for them? They didn’t pay. We, the villagers, had to pay for them. Do you know the names of their officer and camp commander? I don’t know their names because we don’t have a relationship with them. In the village, we have a school. It’s a religious school. Don’t you have a school? We just have a nursery school. There are only seven students. There are 50 students in the Anglican school. Where are the schoolteachers from? How much do the schoolteachers get paid per year? I don’t know what their salary is. I just know the Anglican schoolteachers’ salary. At the end of the year, people [villagers] give them 50 baskets of rice each. People provide them with 5,000 kyat (US $6.11) each per month. It’s for them to use every month. Does the government support those schoolteachers or do the villagers support them? The [Burma] government doesn’t support them. Villagers support them. Sometimes, the support comes from the [Anglican] religious group. Do you have a clinic in your village? What do villagers do if they get sick? We just call medical thara [nurses or medics] from neighbouring places. There is a nurse amongst the Anglicans in the village. We call her Tharamu Naw L---. Where does the nurse get medicine from? She is a government nurse. Where does she get medicine from? Maybe she buys it herself. Doesn’t the government provide it for her? I don’t think the government provides it. How about if she can’t treat patients in the village? If she can’t treat them, they have to go to hospital. How many hours does it take to travel between Moh Hospital and here [T--- village]? It takes about two or three hours because it’s very far. Do you have to spend any money if you go to the hospital? We have to spend money. Who supports the nursery school? As far as I know, Tharamu Naw S--- has organised everything for the Anglican school and the nursery school. Where does she live currently? She lives in M--- [village]. Does she currently look after them [the two schools]? She looks after them. She helps with everything. Have Burmese Army [Tatmadaw] soldiers disturbed the schools? Can villagers in your village work smoothly [without difficulties]? We haven’t been able to meet our basic needs and things have decreased due to us having moved around. We have worked but it hasn’t gone well. Things have decreased year after year. What kind of things have decreased? Do villagers have to buy rice to eat? Everyone in the village buys a lot of rice. How much do you have to pay for one big tin (10.45 kg. / 35.2 lb.) of rice? Three big tins of rice (31.35 kg. / 105. 6 lb.) are 10,000 kyat (US $12.22). We sometimes have to pay up to 12,000 kyat (US $14.67). How much is one viss of beef and pork? One viss of pork is 3,500 kyat (US $4.28). When you moved your village [were forced to relocate] did they [Tatmadaw soldiers] do anything positive for your village? How about Karen [KNLA] soldiers? Did they do anything positive for you? I haven’t seen that happen either. Did the villagers work go well this past year? Have they faced any difficulties? Yes, they have. There hasn’t been enough of the main food, rice, which is a problem. You mentioned that if people are sick, they have to go to hospital. What diseases are most common in your village? People have suffered the most from flu. In other places one patient [a villager from a neighbouring village] has been suffering from tuberculosis. I don’t know about other diseases. Have any flat fields been damaged this year? This year, where I live, two acres of my flat field were damaged due to flooding. A moment ago, you said that people had to move [to T--- village]. Did all the people have to move? Everyone had to move. Some villagers were delayed because they were busy. They [Tatmadaw soldiers] met them and arrested them. They ordered them [the villagers] to move like dogs or pigs. They had to move quickly. They [the Tatmadaw] were there [in the former village, D---], so you had to leave your property and move here with what you could carry with your two hands. We went back and got the rest when they left. Do you know which military unit ordered you to move? I don’t know their military unit. Did they kill any villagers? 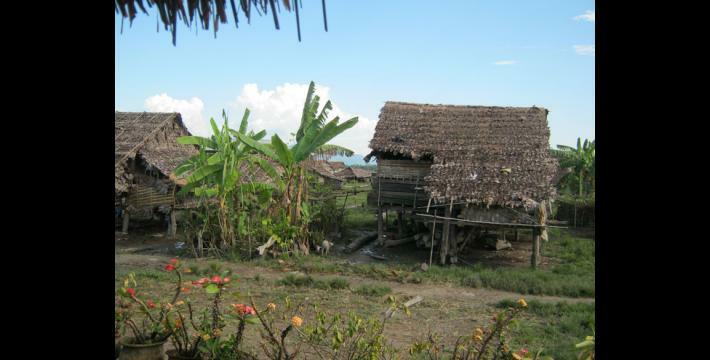 During the period when they [the Tatmadaw] came [to D--- village], they didn’t kill anybody. Later, I came to live here, so I don’t know anything about that. How is the situation in your village currently? Can you describe it for me a little bit? The situation is that people in the village don’t get enough food to eat and they complain about it. These are the same problems. Do you have anything else to say? I don’t know about anything else. You said that you just have a nursery school. Are they [the schoolteachers] allowed to teach the Karen language? They are allowed to teach it. Did people [the Burma government] give them permission? Do they teach it as part of the Burmese [Burma government’s] curriculum? The subject [Karen language] isn’t from the government curriculum. The Karen language textbooks are provided by the [Anglican] religious group. They [schoolteachers] have to teach children about the names of fruits. How many schoolteachers are there? Three schoolteachers teach at the Anglican school and one schoolteacher teaches at A--- [nursery school]. What do you think about Burmese [Tatmadaw] soldiers? I live like a mother. I haven’t observed the Burmese soldiers, so I don’t know anything. What is your personal opinion? What do you think about Karen [KNLA] soldiers? I have no idea about them. For example, do you think that they are good or bad? We think that the Karen people’s [KNLA’s] management and behavior is good for the Karen people. Do you think they are good? How are they not good? How do they have bad hearts? They have bad hearts. If we do something wrong, they oppress us. How about the Karen [KNLA soldiers]? Don’t they do anything to you if you do something wrong? I don’t know if we have done anything wrong to them. They help us to fix small mistakes. The Burmese soldiers don’t do anything for you? They don’t do anything for us. Do you think villagers will be faced with the same difficulties next year or will things be better? I think about it, but I don’t know whether things will be better or not. Sometimes, we are faced with things unexpectedly, so I don’t know. I don’t know what to say because the villagers’ difficulties are very apparent. What do you mean by “very apparent”? [Since moving to T--- village in 2004], they [villagers] haven’t had enough food and they have got into debt. I can’t say whether in the coming years if they will be able to work well or not. Year by year, they haven’t got enough food and they have borrowed food from other people. They have to pay back the debt year-by-year, so it isn’t easy for them to improve their situation. They just have to eat the food that they have with them, even though this isn’t easy. That’s all you wanted to say, right? Would you like to make any suggestions to us regarding things that we haven’t asked you about? If the questions aren’t clear, please tell us. If they aren’t clear, we will explain them to you again. Are they clear for you? It is clear. You ask me and I can answer clearly. I don’t know what to say. If we compare previous years with the current year, will we see that the Burmese government’s soldiers’ oppression has lessened? Two to three times less. How do you think this has happened? There are still KNLA soldiers, so it has become less. Is that right? Are there no KNLA soldiers? They [KNLA soldiers] are there, but they [the Tatmadaw] loot things and oppress people. I don’t know what to say. You said that they [the Tatmadaw] are looting and demanding things now even though there are KNLA soldiers? [Interjects] How about you? What do you think? Why are they demanding things less often now? In my opinion, people talked about them on the radio, so the abuses decreased. The village head said that he listened to the BBC and they talked about the Burmese leaders, like this and like that. The Tatmadaw has been making up for it [the oppression] because people talked about them a lot. That’s all. I can’t tell you anything else. Do you think they will make it better, or will they keep on doing bad things and become worse and worse in the future? The arrangement will come for them to make up for it. The preparation they will have to do to make up for it [the things they have done]. Do you help the villagers who didn’t get enough food to eat? I can’t help them. I myself have to find a way [to get enough food] and I don’t have any spare [food]. We have to work and eat. I can’t provide rice for the villagers and my siblings. Are there any villagers in your village who have serious food problems? I would say all of the villagers in T---. Why are they facing this? In my opinion, we don’t have enough food to eat due to the relocation. You lived in your old village and you live in your current village. In which one are you happy to live in? We were happy living in our old village. If that’s so, don’t you want to go back and live there? I want to go back and live there. Have you requested this opportunity [from the Tatmadaw]? Once, people said that people [Tatmadaw] gave us permission to go back. However, there was no one who dared to be a leader back in our old village. There was no leader, so the villagers didn’t dare to go back. Don’t you want to be the leader [village head]? If I was a leader, and the arrangement for those of us living in T--- village to go back [to the former village, D---] was organised well, we would know how to do it. In the past, this was impossible. There was a problem because of the [soldiers at the Tatmadaw] camp. If they were suspicious of us they caused problems. In the past, they [Tatmadaw] said that our village head had been in contact with Karen people [KNLA soldiers] and the village head disappeared, which meant that he had been killed. So, people didn’t dare to be the leader [village head]. Everybody wants to return. We would be happy living in our own place. Continue telling me [about this]. Since we have been living here, we have had to buy all our food. We can’t travel. Didn’t you have to buy food when you lived in your village [D---]? We didn’t have to buy bamboo shoots. If you were healthy, you could go to the river and find frogs and fish to eat. Now, we can’t find those because there is no river. We have to buy things to eat. Don’t you go back [to the river by D--- village] to find things to eat? You can find it [food] when you don’t have small children. You can’t go back when you have small children. In order to increase the transparency of KHRG methodology and more directly communicate the experiences and perspectives of villagers in eastern Burma, KHRG aims to make all field information received available on the KHRG website once it has been processed and translated, subject only to security considerations. As companion to this, a redesigned website will be released in 2012. In the meantime, KHRG’s most recently-published field information from Nyaunglebin District can be found in the Report, "Nyaunglebin Situation Update: Ler Doh Township, September to October 2011," KHRG, January 2012. Meaning 'People’s Militia': a militia structure into which local civilians are conscripted to serve in village or town militia groups. As of May 18th 2012, all conversion estimates for the kyat in this interview are based on a rate of 818 kyat to US $1. This reflects new measures taken by Burma's central bank on April 2nd 2012 to initiate a managed float of the kyat, thus replacing the previous fixed rate of 6.5 kyat to US $1. 'Teacher’; Karen term used for any teacher, pastor, or any person to whom one wishes to show respect. ‘Female teacher’; Karen term used for any teacher, pastor, or any woman to whom one wishes to show respect. A viss is a unit of weight equivalent to 1.6 kg. / 3.52 lb.